Picture this: super green hills dropping straight to the sea. Steep white chalk cliffs on one side and bucolic countryside landscape on the other. Plenty of fauna to amuse you, a peaceful scene to distress you, a stunning view to awe you. In a nutshell this was my experience at the Seven Sisters. No, I a not talking about that highly cemented area of north-east London. I am talking about the stretch of land between the cities of Seaford and Eastbourne on the south coast of England. Sometimes you don’t need to travel too far to find stunning locations, good for physical activities and for the sanity of your soul. Who doesn’t need an escape from the hustle and bustle of the city time to time (read: every weekend ideally)? Especially when the weather is nice and you get the opportunity to enjoy the great outdoors. After two weeks teaching in a natural open-air gym under the sun of the French Riviera, I was definitely craving some activity of this kind. And the good news is, a part for the cost of the transport to get there, it is completely free! If you are very organised – not me – you don’t even need to buy food, and can bring your picnic basket to an alternative location than your local park. As mentioned above I am not the organised kind: Paul and I actually decided to go for the hike that very same day. We arrived at Seaford at 1pm and parked by the Seaford Head Golf Club. Parking was free. No worries if you travel by train: the walk from the railway station will add only 20 minutes to the estimated hike time (we did this on the way back to the car). When we arrived it was pretty foggy – as shown in the pictures – but the forecasts were showing that it would have cleared pretty soon after. The hike started straight away with a pretty steep up hill path. 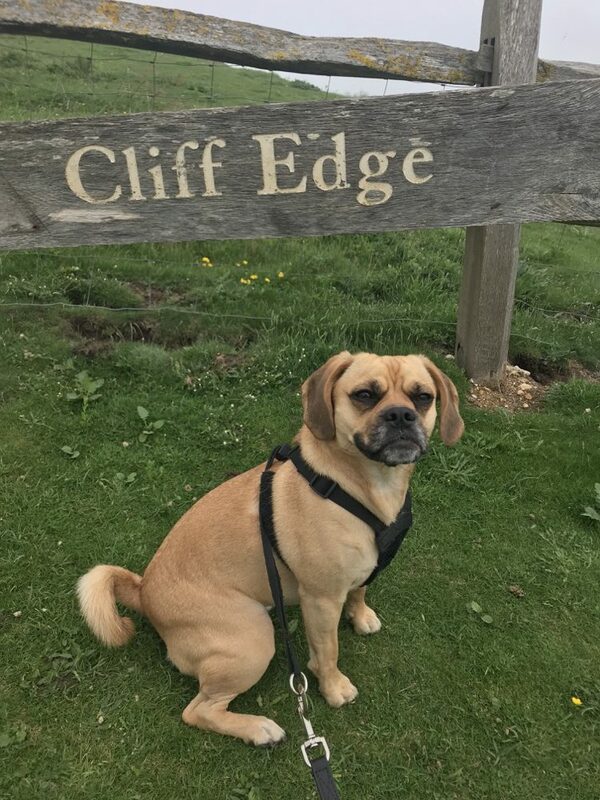 Please be considerate that the cliffs are made of chalk and they are really delicate and prone to landslides and erosion. 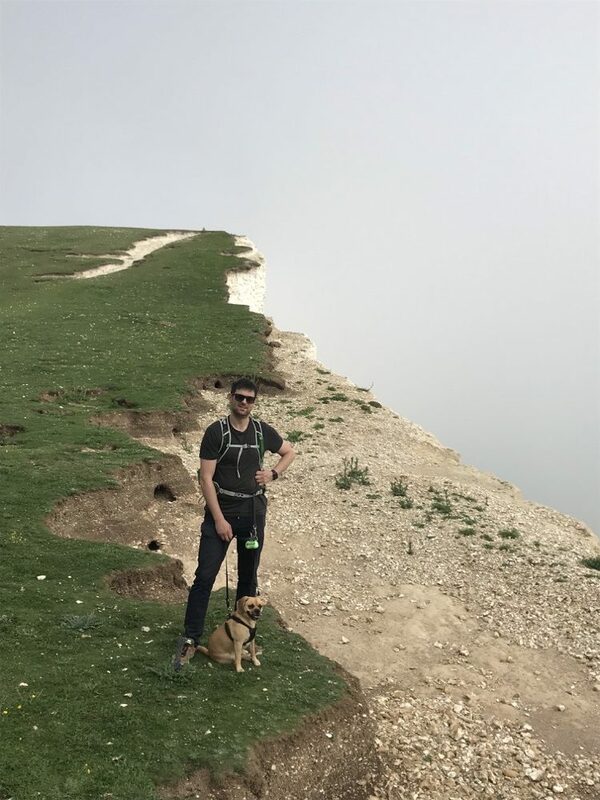 So you will be advised at all time to stay away from the cliff edge…Although it might make a pretty instagram picture, it really doesn’t worth the risk, so follow the advice! 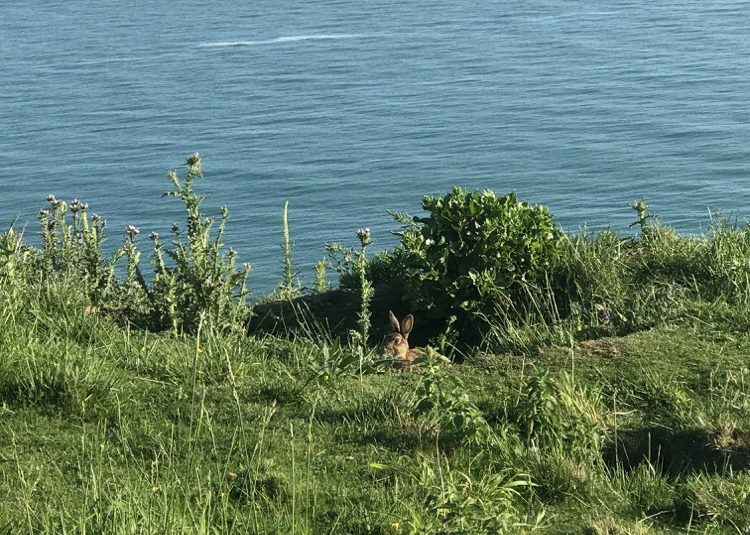 If you are hiking with your furry friend – like us – you’ll be also advised to keep your dog under close control at all time as there are rabbits and other wildlife living by the cliff edge that your dog might decide to chase unexpectedly. We left Coco off in bits that we felt were safe, so don’t worry, they are able to run and enjoy themselves still, and even go for a swim in the river. 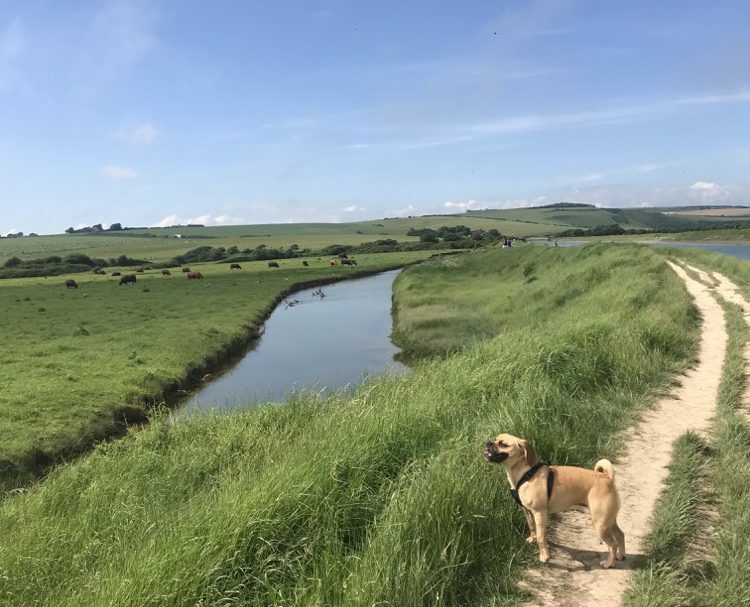 Pretty soon, after the first 2/3 km of the walk you get to where Cuckmere River meets the beach. The ‘official’ route veers away from the coast at this point, going inland until you can find a proper river crossing and, once across, you work your way back to the sea. The bucolic landscape are completely worth the extra steps and that was the time when the sun finally decided to break through the clouds. After heading back towards the coast the incline gets again pretty steep, and this is why I guess it’s called the Seven Sisters “hike” rather than “walk”. My ankles were over a 45 degrees angle and calf were burning towards the top. Expect this to be the whole experience: up and downs are the norm during this walk. 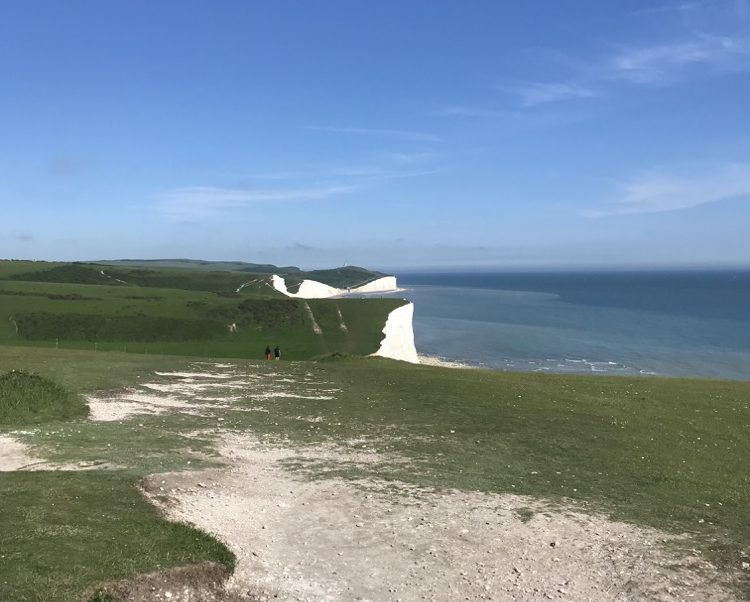 It’s up to you whether you want to stop for lunch on the Seven Sisters cliffs – referring again to the preparation required above, we didn’t pack our lunch – or whether you’d like to stop at Birling Gap instead. 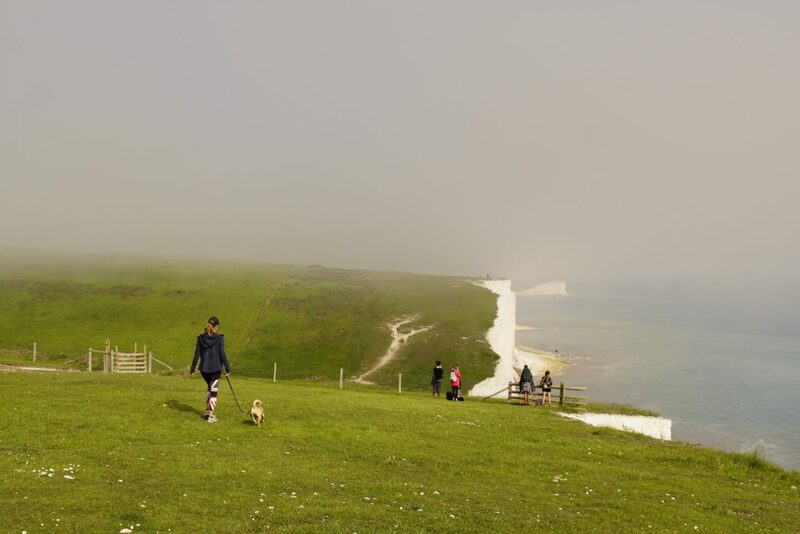 We had no real choice but pushing on, also because Birling Gap was only the halfway point of our day’s walk. 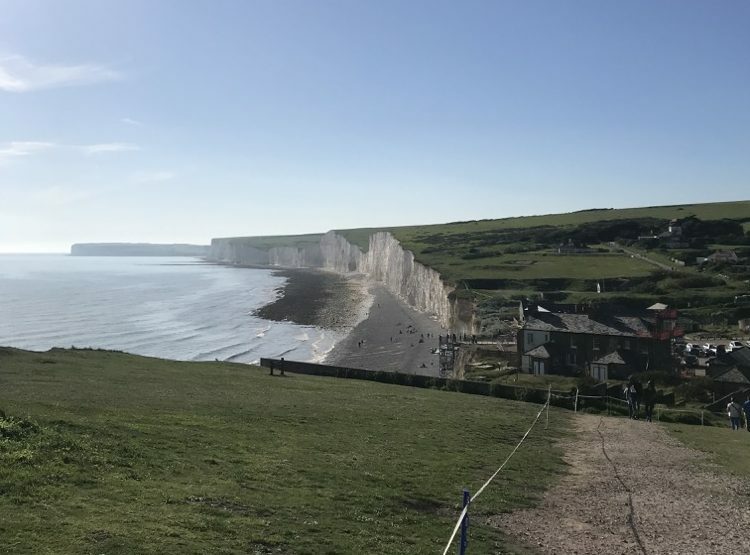 Birling Gap marks the end of the official Seven Sister hike and has an outdoor dining area, a gift shop, a cafe, toilets and a small exhibition explaining more about the cliffs. We had a sandwich and a gelato to keep up going for the remaining part of our walk. You may assume that the rest of the path, now that the Seven Sisters are being left behind you, won’t be that exciting, but this is not the case at all. 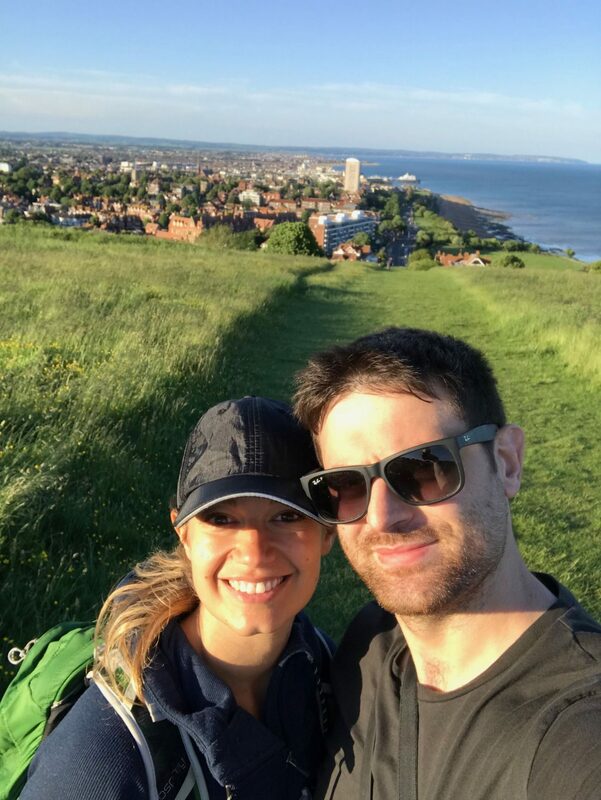 Instead, you have plenty of lovely sea views to appreciate and a varied coastal path to admire, as well as pretty light houses. 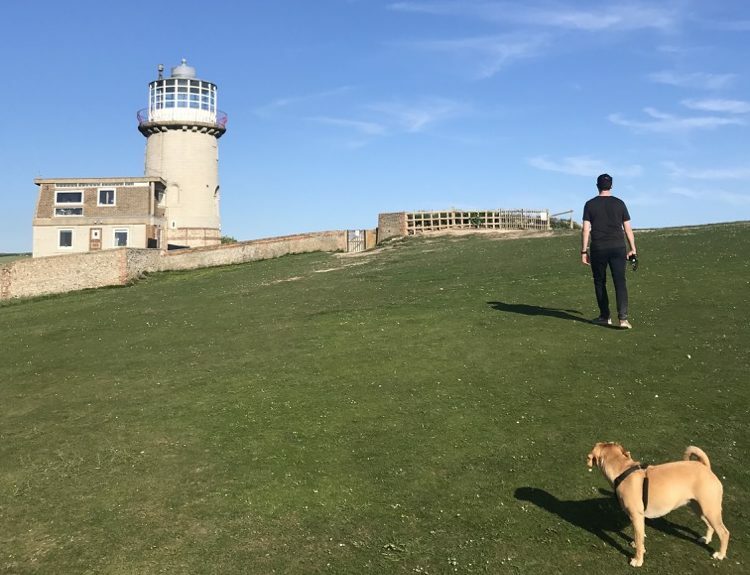 The first lighthouse, Belle Tout (in the picture above), which was in use from 1834 until 1902, is located a short distance from Birling Gap. Its position away from the coast is rather confusing, but we found out that the lighthouse was moved in recent times, and it now serves as a bed and breakfast. There is also a cafe located just outside in case you feel like picking up some snacks. We stopped for few snaps and then made our way towards Beachy Head. To me this was one of the biggest highlights of our walk. The red and white lighthouse by the coast offers such a unique view and it’s truly an amazing spot. We stopped here for a little while to just sit and intake all the beauty surrounding us. 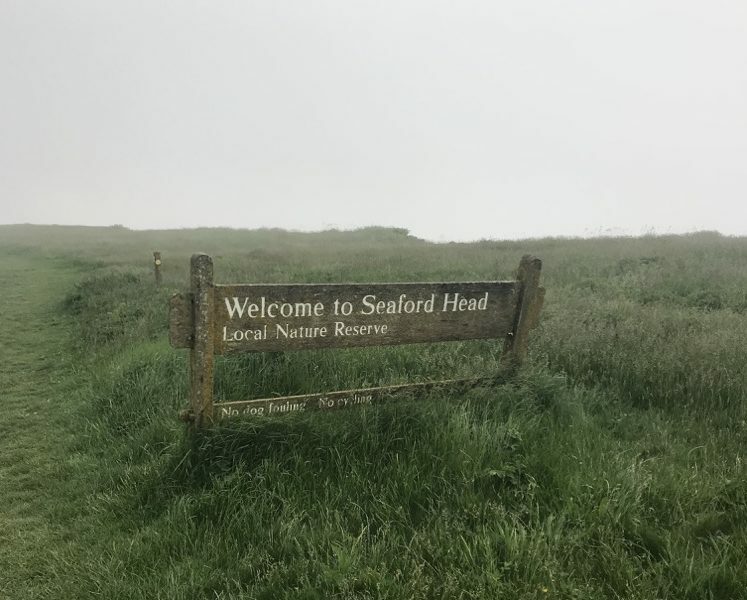 Beachy Head, apart from being extremely picturesque, may look familiar, especially if you are a Harry Potter fan (we are!). In fact, we learned afterwards, that was used as the Quidditch World Cup hosting grounds in the Harry Potter and the Goblet of Fire movie. Located in Beachy Head there is also a lovely pub. 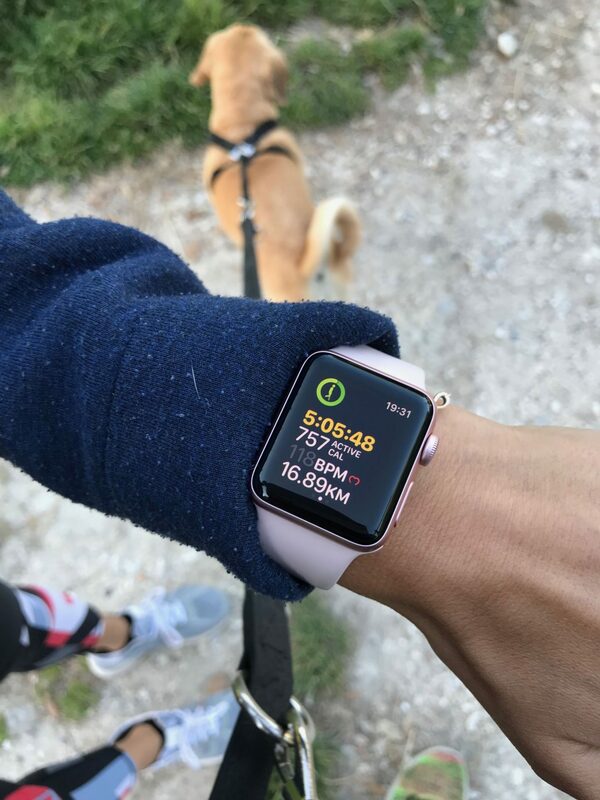 We didn’t decide to stop but kept our legs moving since by that point we were getting pretty tired – not Coco, she was having the time of her life. The last stretch went on for a few kilometres and, like most of the walk up until that point, it was full of rises and dips. The path took us through flower-filled fields with playful rabbits hopping around. 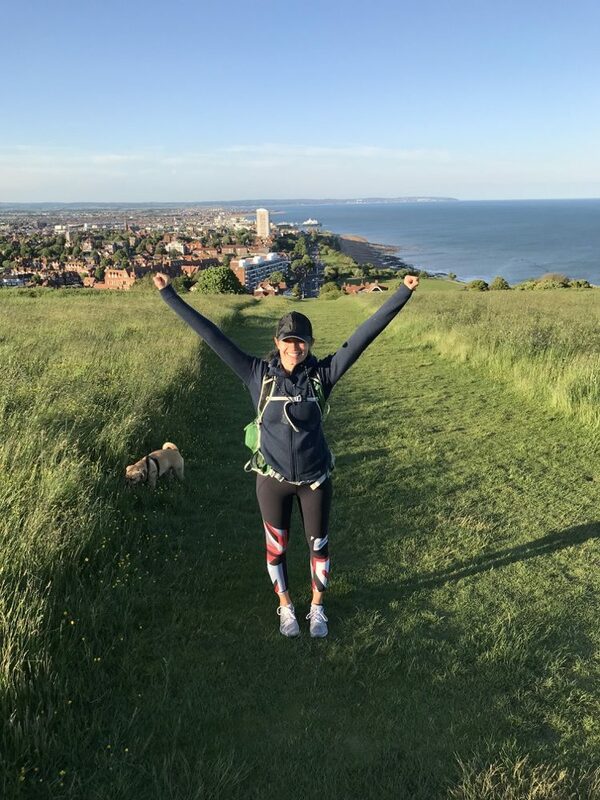 Finally a cluster of buildings appeared in the horizon, and without even needing to check a map we knew: we made it to Eastbourne! A very steep downhill marks the end of this walk. We then headed to a pub near the coast for dinner – we both had fish and chips – and made our way to the station. 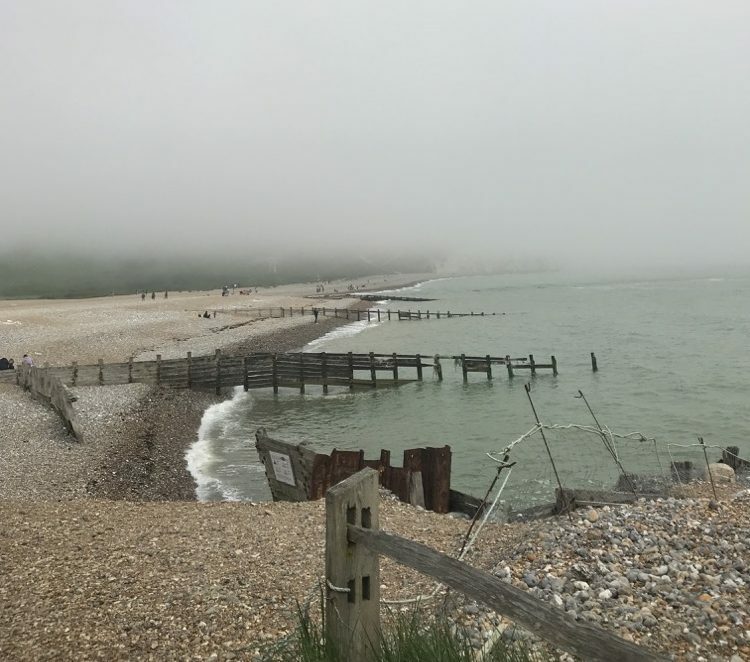 There is no direct train Eastbourne to Seaford, so it actually took us one hour to get back to the car – that might be the only down side of travelling by car especially because by that time you will be most probably tired and not fancying waiting around. But otherwise it was such a lovely and fulfilling day! 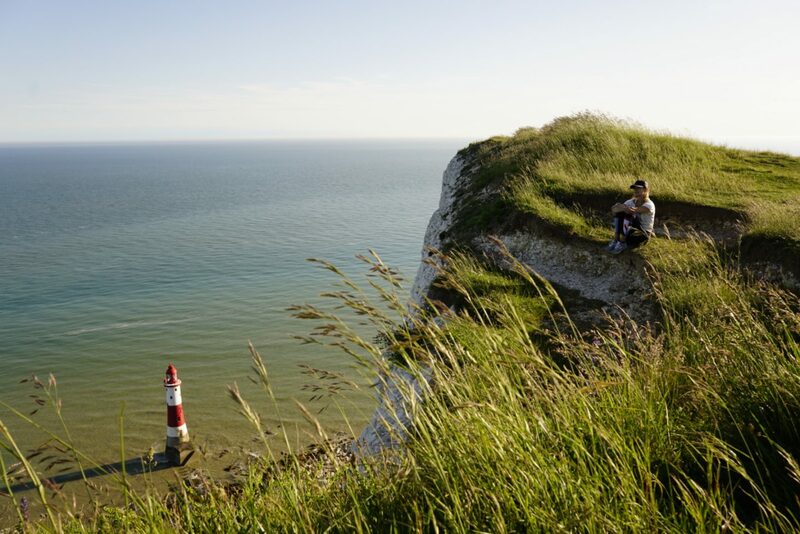 What’s your favourite spot where to escape the city in the UK? Comment below! Previous Post HIIT vs LISS: Which One Should You Pick?